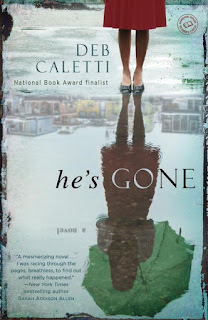 I liked He's Gone because I felt that it accurately portrayed the helplessness one would feel when someone you love goes inexplicably missing. I really felt like I was in the character's shoes of feeling helpless with little idea of what could have occurred and why. Her mind kept racing and thinking of different scenarios yet was unable to come to any conclusions. I also could not come to any conclusions. I didn't even have any suspicions as to what had actually happened which was good because there is nothing I hate more than being able to figure out the ending of a book, or a key element, before the book reaches that point of the story. 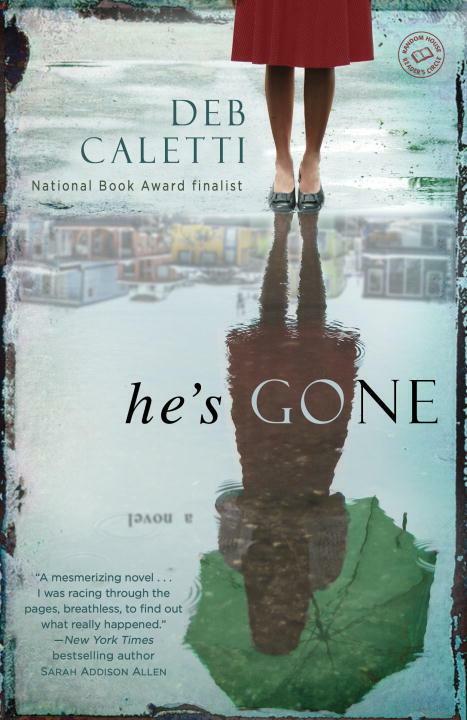 The main character was well developed and I felt that Caletti did an excellent job of getting us inside of her head and her thoughts which made the story flow quite naturally. The story was a bit redundant at times but I feel that if you were in a situation like this, that your mind would probably be in some kind of endless loop anyway so it made sense to me for some things to repeat themselves as I am sure you would obsess about things endlessly until answers were found. I did enjoy the ending as it was not something that I expected however this is where I also lowered my rating of the book because it also seemed a bit of a tidy way to conclude things after such an arduous process of trying to find out what happened. It seemed realistic, but just a let down of sorts. That being said, He's Gone isn't my usual type of read but I am glad I read it. Thank you to Bantam for our review copy. All opinions are our own.